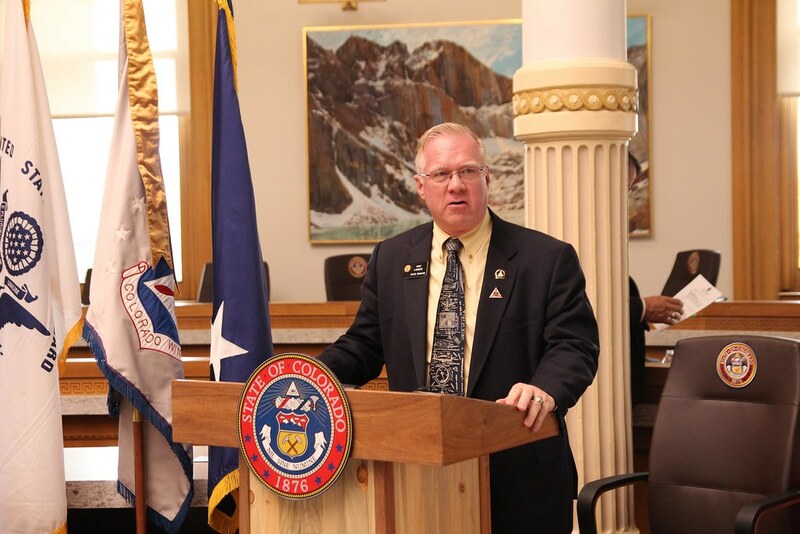 Senator Kent Lambert (R-Colorado Springs) was honored to speak at a ceremony on February 20th where twelve Coloradans or their families received the Congressional Gold Medal for heroic service in the Civil Air Patrol during World War II. The CAP was formed only one week prior to the attacks on Pearl Harbor. During the war, these Coloradans and volunteers around the country played a pivotal role in securing national borders, protecting American shipping from German U-boats, and performing search-and-rescue and a variety of other missions. The occasion had additional significance to Lambert, because his mother, Ivey Adell (Ruiter) Lambert, will be honored posthumously with the Congressional Gold Medal for her service with CAP at a ceremony in Californiaon March 14. Serving in the Civil Air Patrol is a Lambert family tradition. Sen. Lambert served as an Air Force officer for 30 years and is currentlysquadron commander for the Civil Air Patrol Capitol Squadron. The Congressional Gold Medal is one of America’s highest civilian awards. It has a long and storied history, and the Civil Air Patrol honorees are the most recent of a very exclusive hall of heroes. George Washington was the first to receive the award in 1776. Other noteworthy recipients include Ulysses S. Grant, John Paul Jones, Andrew Jackson, Orville and Wilbur Wright, Thomas Edison, Douglas MacArthur, Walt Disney, Winston Churchill and Mother Teresa.